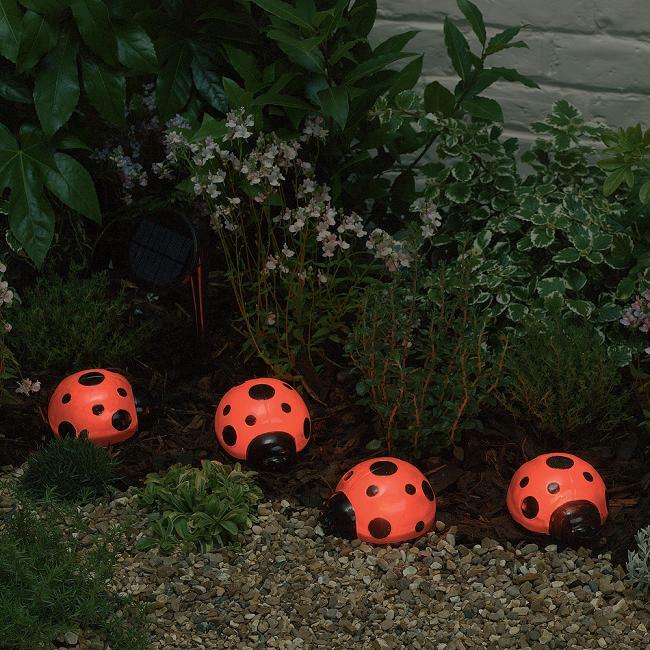 Our beautiful collection of ladybug solar light with red led's is the perfect way to "brighten" your garden, patio or walkway. 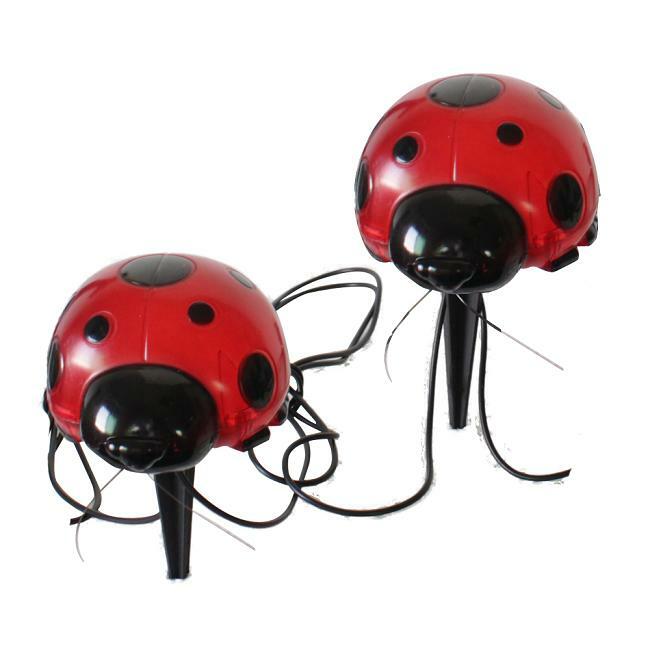 These solar powered ladybugs will definitely give your local ladybugs a run for their money! 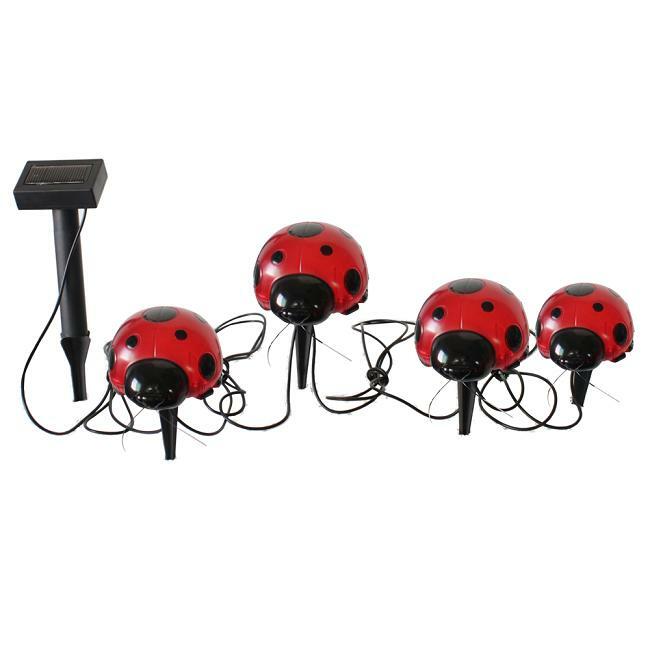 Each set comes with four ladybugs that plug into a solar panel, which can be placed up to 9 feet away to charge during the day. These charming ladybugs can be easily staked anywhere in your garden where you need to add color and nighttime lighting. Since these ladybugs are solar powered, they charge during the day and automatically illuminate at night.